Hearthstone: Rise of Shadows: Swampqueen Hagatha, new Shaman Legendary minion revealed – AiPT! 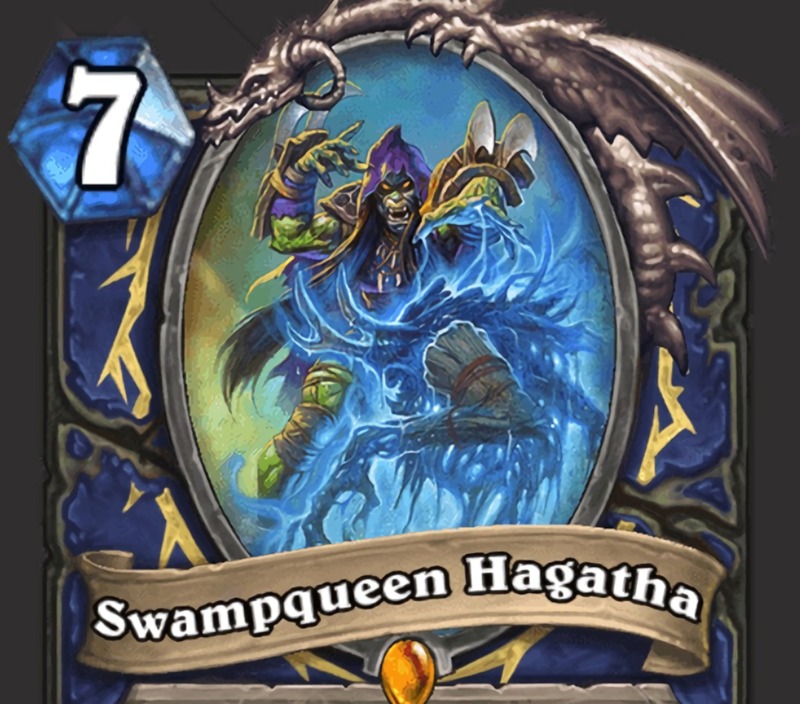 Shaman Legendary Hagatha the Witch is back with an awesome new Battlecry. It’s that time again; with every new Hearthstone expansion comes the element of the game which some players revere with as much gusto and bated breath as football fans do the NFL Draft. That’s right, it’s new card reveal time. A few days ago Team 5 revealed the brand-new Warlock Legendary for the expansion’s primary antagonist, Arch Villain Rafaam and earlier today another Legendary minion from Rafaam’s supervillain team was announced: Swamp Queen Hagatha. Talk about a unique, game-changing Battlecry. Looks like Hagatha’s back on the menu, boys!